When you make a living shooting adventure trips, there’s no denying the fact that new, original locations always turn editor’s heads the best — the challenge is to find them. Everybody likes reading about somewhere new, and fresh adventures are the stories that sell. It sounds mercenary but while I’d love to be that guy who just goes to these places, y’know... just to ride; I actually have y’know... a mortgage and a car to fix and electricity bills to pay. But every time I shoot a new adventure, about a year or so later, one of the riders that came with me will see a TBT Instagram post and drop a comment: ‘Hey, when are we going back?’ But going back makes no commercial sense, not if you’re a pro-photographer with an appetite for the unknowns. And anyway, nobody wants sloppy seconds, photographers and editors alike. At least that's the usual story. But sometimes, just sometimes, going back makes sense, especially if there’s been enough of a lag since the first trip and you’re hitting it up with a new angle and a new team. My 2017 year of trips and shoots has been one of those years — a mix of fresh adventures and a couple of returns to old haunts. Whether shooting in new places or old favourites, 2017 has been one hell of a ride. Here are some highlights. In 1996 I cycled through Chile’s wild Torres del Paine National Park as part of a year spent mountain bike touring around Chile and Argentina. 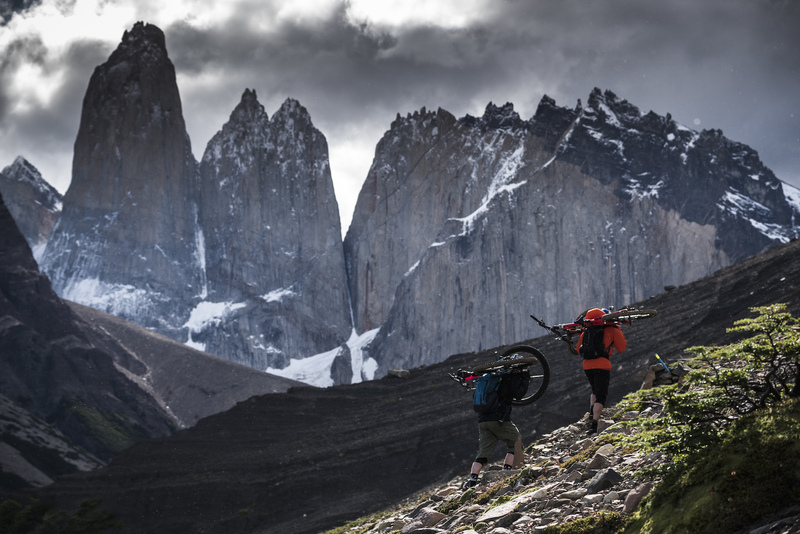 Even twenty years later, the memories of being blown off my bike or pinned under a buckling tent by Patagonia’s fierce winds have not faded. This place is one of the craziest places I've ever ridden a bike, so why go back? Because we could. Torres del Paine is Chile’s jewel in its crown — a mass of stunningly vertical rock pinnacles jutting out from wild landscape. 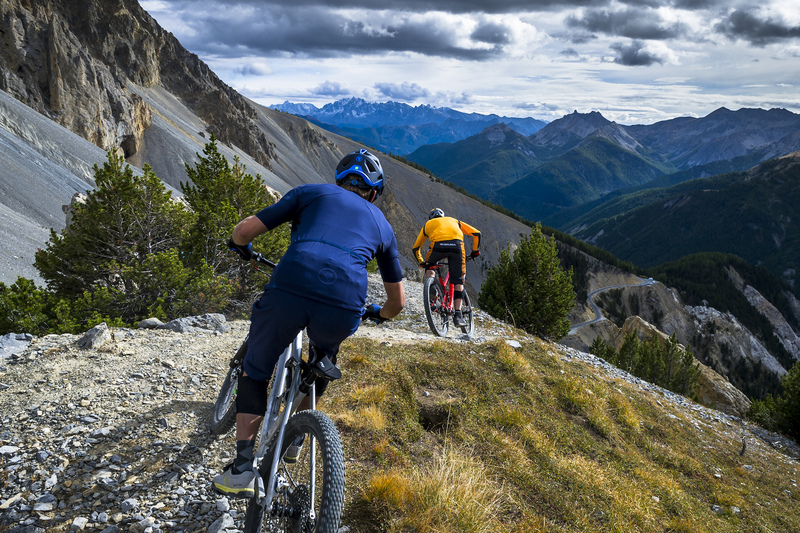 And since my previous visits in 1996 and 2008, local guide Javier Aguilar has negotiated trail access for bikes, meaning you can now ride some of the most spectacular singletrack on the planet. That was enough to lure Matt Hunter and Rene Wildhaber to jump on board, and Matty Miles along to video the mission. 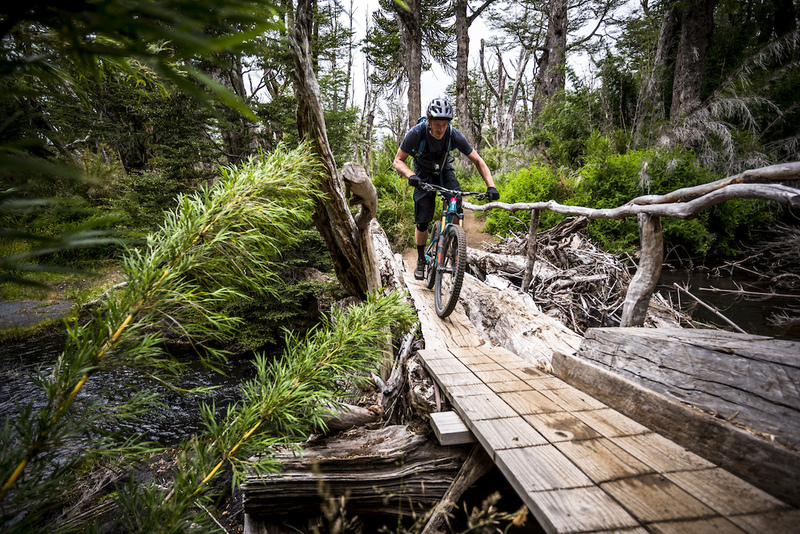 We teamed up with Javier and H+I Adventures' Euan Wilson to ride the Paine’s trails for 5 days. It couldn’t have been more different to the pannier-lugging experience of two decades earlier, aside from the wind. 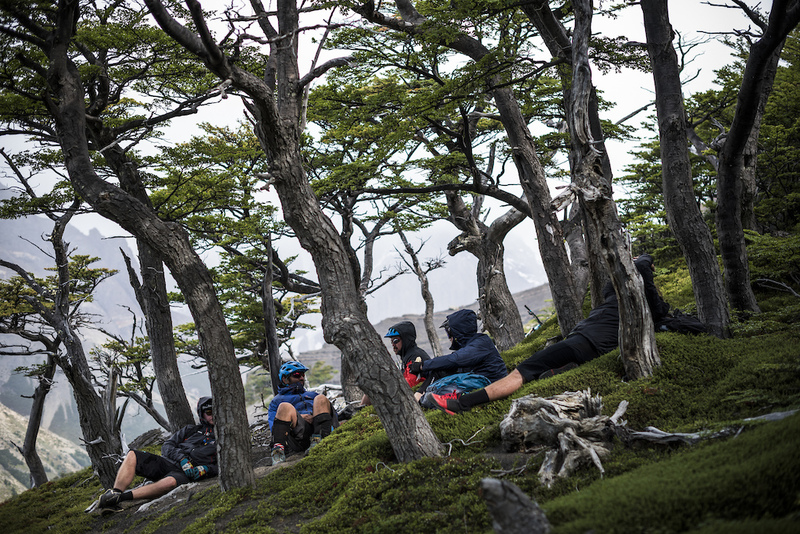 The team hunker down to swap stories and smiles out of the Patagonia wind. Chilean Volcano region, February 2017. In 1999 I shot a snowboard trip around the Chilean lake district. From that moment on I always wanted to return and shoot mountain biking among the amazing trees that are endemic to the region. The excuse I found was a 100 Kilometre long trail that wound its way around 3 volcanoes from Lanin, on the Argentinean border, to Pucon, Chile. Matt Hunter launches into 3-days of unknowns ahead. 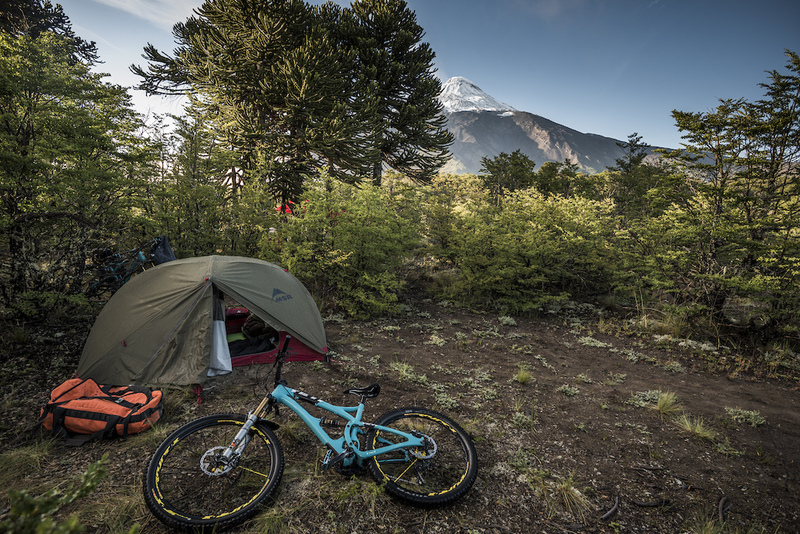 Camping at the foot of Lanin volcano at the start of the 3 day traverse to Pucon. 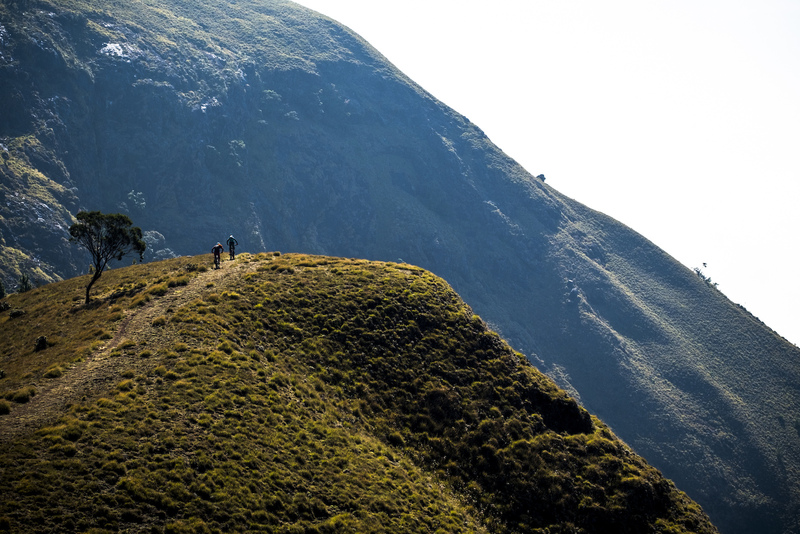 The trail is wild and remote, with only 3 access points along its entire length for support. 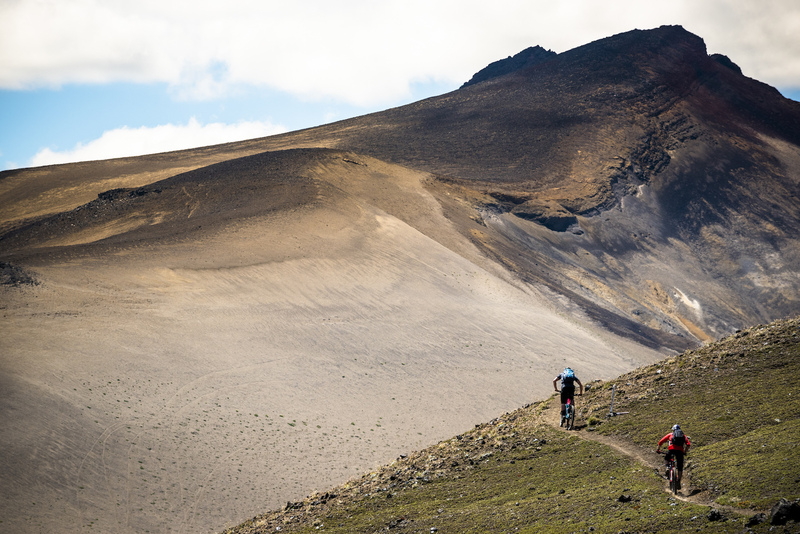 Getting a local support team to haul our camping gear meant we could ride without bikepacking, but meant committing to some big days out among the lava fields. 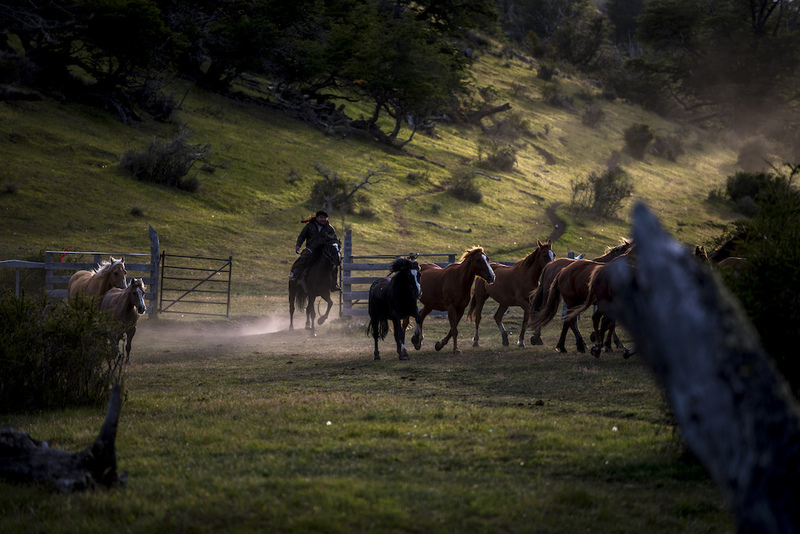 With Wildhaber and Hunter along, and riding through some of the most colourful scenery I’ve had the pleasure to shoot, this story was a no-brainer. All we had to do was survive the sub-zero nights of camping, the rain, the 30 C daytime heat and whole days of riding with no water sources. 3 out of 3: Corsica topped off the hat-trick of my ‘return’ destinations, but this time it was for a Trek Powerfly shoot, rather than another point-to-point traverse of the island that I’ve grunted through before –let’s just say the two experiences played out very differently. Commercial shoots like this are the yang to adventure's yin. For pro photographers, both help pay the bills but they come with different investments and rewards. This time we replaced an appetite for masochism with e-assist motors, the laughter of Italy’s Lupato brothers and the Swiss Army Knife versatility of Rene Wildhaber, that together gave riding Corsica’s endless rock gardens a different flavour. Being British means I was pretty much brought up on curry, and has driven me to tuck 6 previous trips to India, Nepal and Pakistan under my expanding waistline’s belt. Wash it down with a damn good cup of tea and throw in some amazing singletrack and you have perhaps the ultimate ingredients for a great bike trip. At least for me. While the Himalayas in India’s north are seen as its most obvious MTB destination, I was blown away by what Kerala had to offer — big days of riding in some seriously steep terrain among the unglaciated peaks and plunging valleys of the Ghat mountain range. 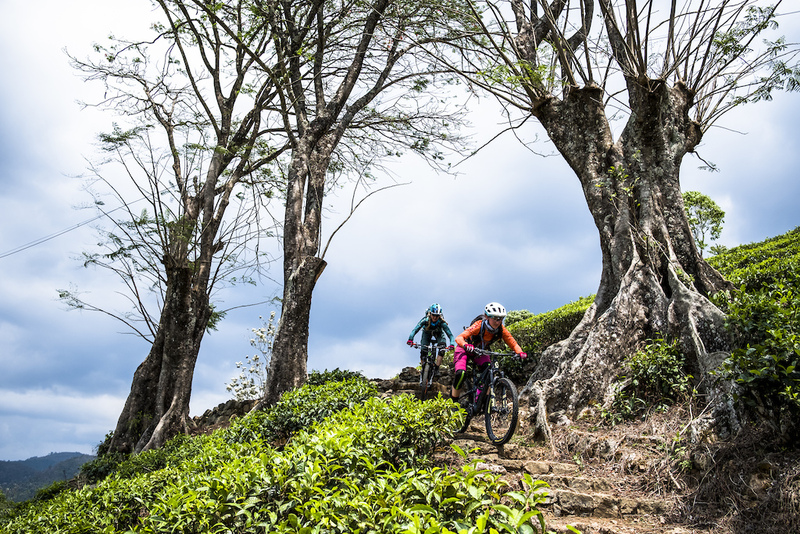 Guided with a down-to-earth approach by Mike Mclean at MountainbikeKerala and accompanied by Scott riders Karen Eller and Ricky Westphal, we rode trails that flowed like rich, oozing onion gravy through the tea plantations of Kerala. Most people would be hard pushed to place Lesotho on a map. I was too until this trip with Claudio Caluori and Kevin Landry. Now the country is circled on my map in bold marker pen with the words “must go back!” scrawled alongside it. 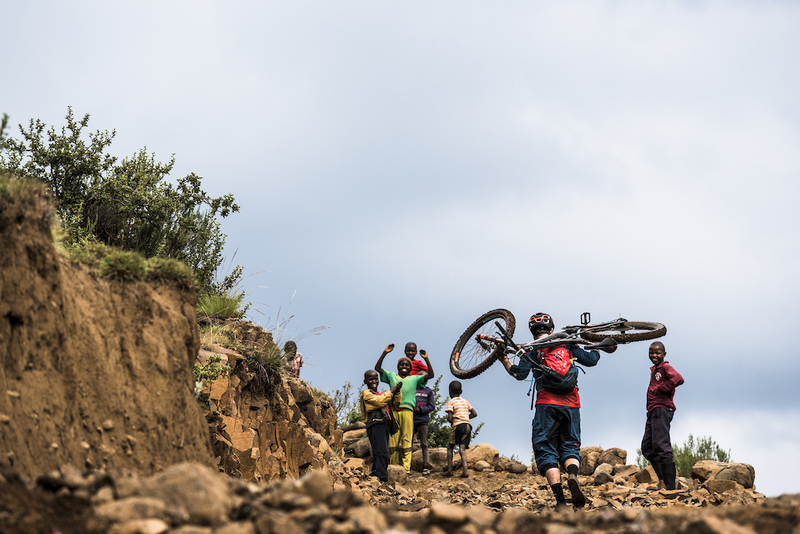 Lesotho is an adventurous mountain bikers’ paradise. 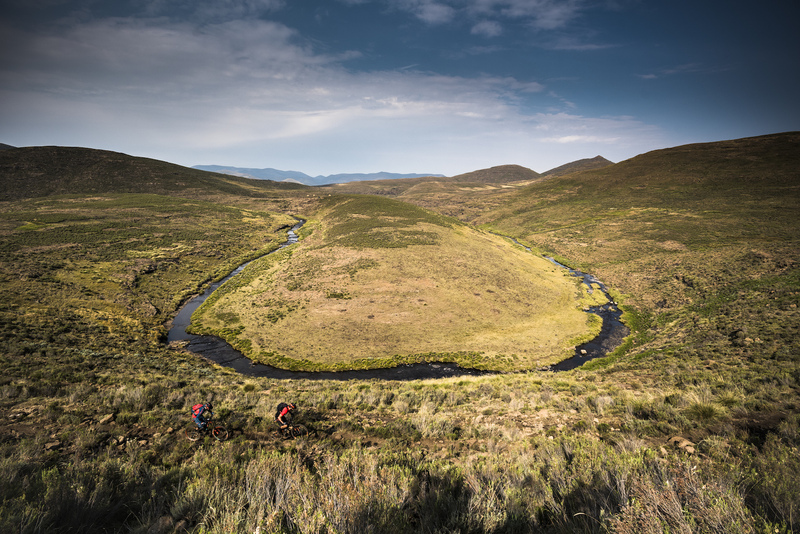 We spent 6 days traversing Lesotho’s mountains, almost all on singletrack, while being guided by a traditional horseman. We camped when there was no village to accommodate us, and stayed in old, disused trading posts in villages that had no guest lodges. 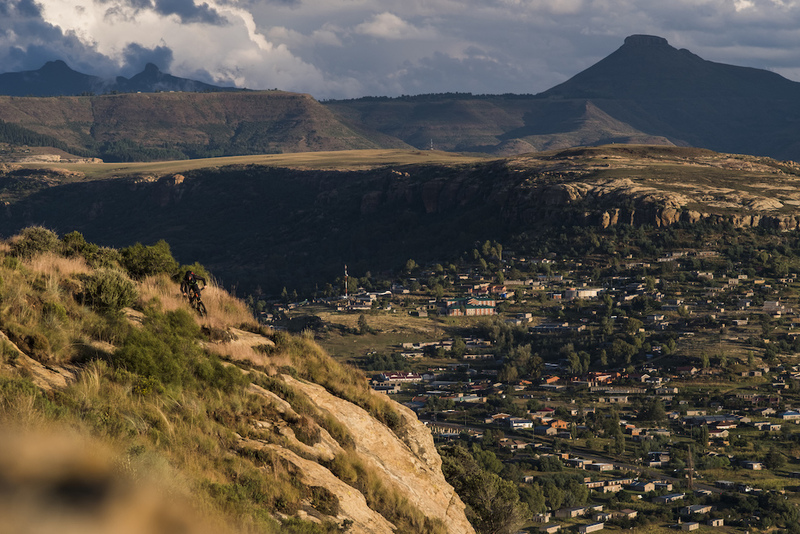 Fresh locations always deliver a buzz, but I can’t remember shooting in a place so full of energy and hope, despite Lesotho being a poor country with a serious HIV+ problem. Capturing the beauty of Lesotho and the pride of its people, was a high point of my year as a photographer and a humanist. The role tourism can play in helping its remote rural villages out of poverty should be embraced - the Lesotho people deserve it. Kevin Landry above Roma, the end point of our 6 days of following the horsemen. 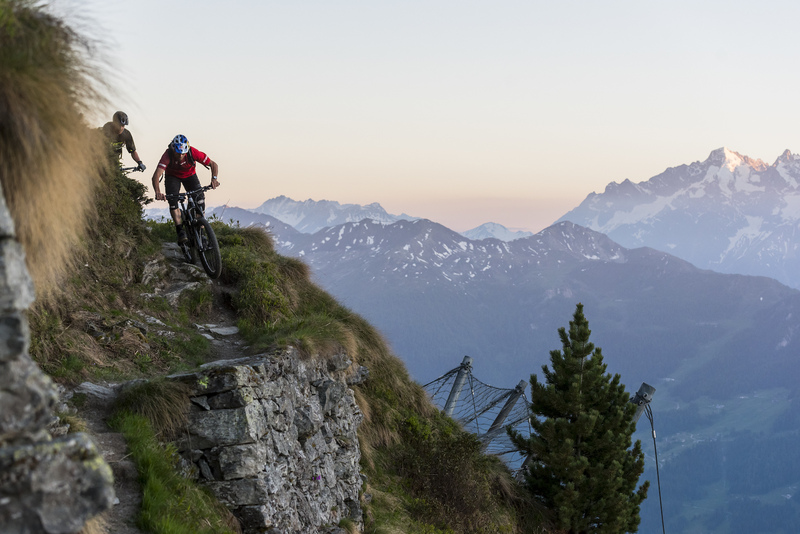 I’ve ridden plenty of trails near Verbier, but I’ve never dipped into its bike park — until now. 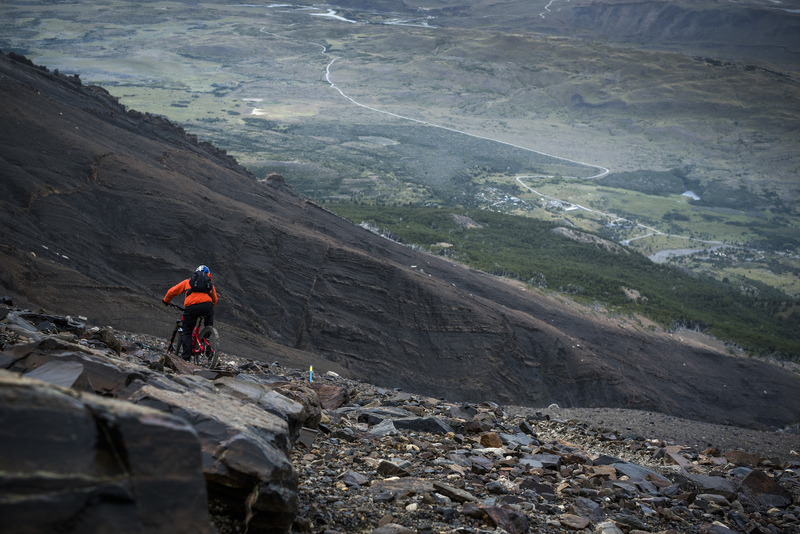 Shooting Trek's press camp here involved pointing 23 Kg e-bikes down the bike park’s steep, twisting red trail and late light backcountry Remedy shoots alike. Some people think commercial shoots are a heck of a lot easier than the adventure stuff, but in reality they just involve very different criteria and pressures. On both, you reap what you sow. Val Veny, Italy, June 2017. Throughout the summer I teamed up with trials guru Tom Oehler to shoot a series of features. Some locations I’d ridden previously, but St Moritz was a place in which I’d only ever shot snowboarding before. I now know what I have been missing. If lift-accessed, long, natural feeling backcountry-style trails are your thing, then St Moritz is the place. That was the upside. The downside was blowing my calf muscle and being forced to have 2 months off the bike. The annual Endura clothing shoot moved back to the Alps this year and despite a late autumn risk of snow smothering the mountain passes, I had a location in mind that was visually different enough to warm any art-director's heart . Deciding on shoot locations is always a challenge and sometimes a gamble, with so many factors to consider and requests to juggle, but with peak-bagger Harald Philip joining manual world record holder and all round nice bloke Chris Smith for the shoot, the trails around the Col d’Izoard were hard to beat. 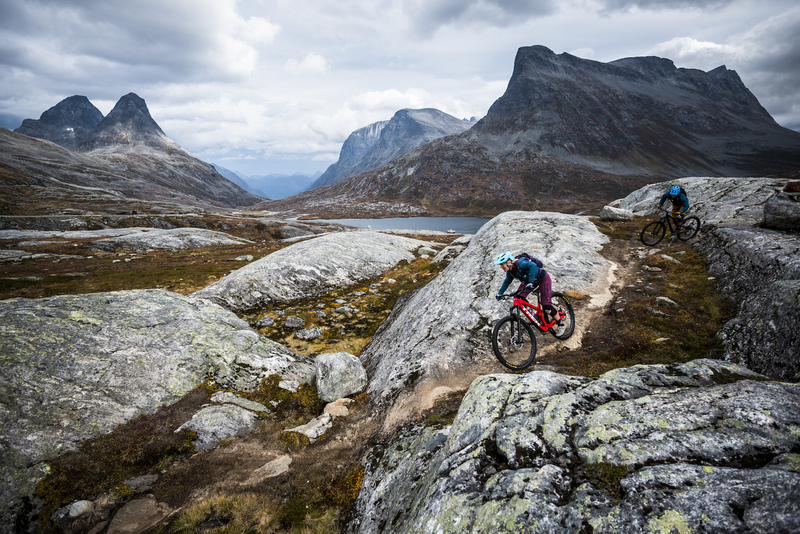 My bike year wrapped up with an epic 4 days in Norway shooting for Sweet Protection. With Air France losing my bike until day 3 of the 4 day trip, and the wind blowing Baard Sturla’s bike from his back and off a cliff during the hike up to a ridge, the shoot had its challenges from the start. But these are the things that are sent to try us, and it's either a zen-like disposition or worldly experience that gets you through them (mine is not a zen-like anything). Baard’s intel took us to a stunning location, among Norway’s fjords, that gave us a different trail and a different backdrop to work with each day, while all the time juggling the onset of a Norwegian winter and some fierce arctic-winds that tested the resilience of my riders, Baard and Stina Bondehagen. 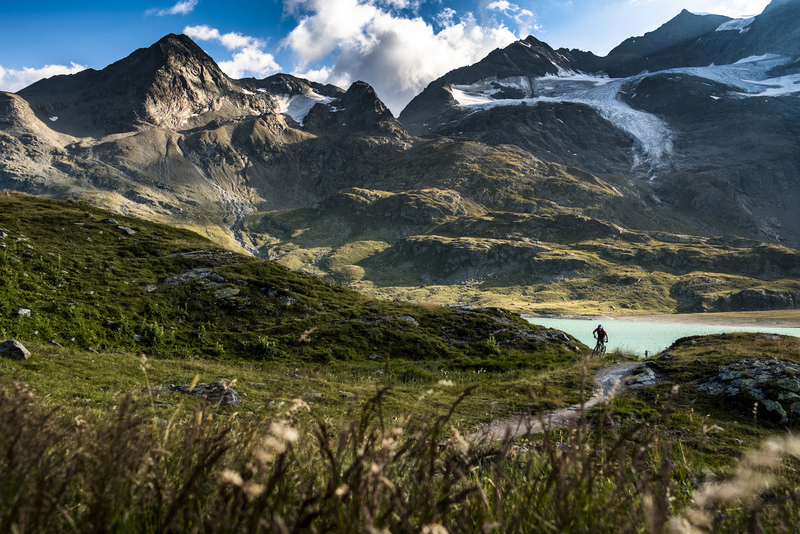 With no bike of my own and a scarred calf muscle to limp through, this shoot was a testing one, but it was enough of a taste of what Norway has to offer to know It will be on my "go back to" list as a photographer, or maybe even, y'know just to ride one day. That’s the life of a photographer – it may seem like 2 steps forward, 1 step back, but at least every step is a good one. Brilliant as always Mr Dan. P.S. Still missing the Ninja. @DanMilner: Long Live the NINJA! Those are some absolutely stunning captures. Bravo! Norway looks phenomenal, I dont know why but I always had it down as a quite flat and featureless place but after seeing it here and looking at a few more images on google its on the bucket list. 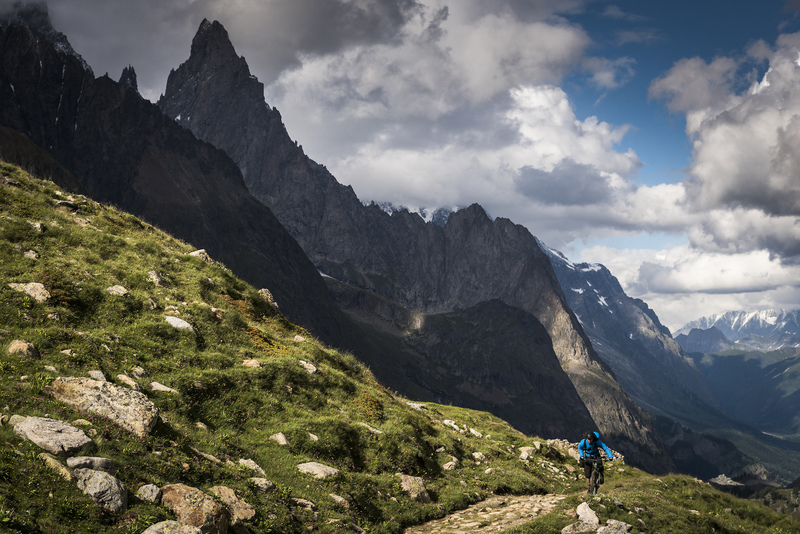 Amazing images from Dan, really capture 'mountain' biking for me, cant wait to get back to the alps next year. Norway. Amazeballs. Thats all I have to say. Norway is epic, i'm from the UK but moved there this year to set up an MTB BnB this summer with my girlfriend because the scenery is so mind blowing! If you want to ride there then give me a shout, I would be happy to show you some trails next summer!! That is a pretty incredible tour for one year! I have to wonder about the immune system being able to handle all of the different food qualities experienced on a journey like that? In any case, I would like to visit even one of these locations. Thanks for your concern! Yes it was a bit of an epic year looking back on it, wasn't it. Seems like getting older means speeding up, not slowing down to fit it all in. I'm pretty used to lots of travelling but a lot of these adventure trips are physically exhausting and can take a week or so to recover afterwards. Back to back trips are punishing thats for sure - I take some echinacea before thee trip to boost my white blood cell count. Food - thats an easy part, even being vegetarian as I am, its not the main worry. I take a water filter so always have clean drinking water, and I keep clear of salads and unpeeled fruit. Basics for keeping healthy on the road in remote places really. @DanMilner: always wanted to get into photography and this just pushes me further. I’ve spoken to a few photographers who have said get a decent camera body, but it’s the lens which does the leg work. Any further tips? @gunners1: For years I'd have said its all about the lens quality - sharpness especially - but that was when we shot pretty much only for print and on 35mm slide film, and the game has changed a lot now with more stuff shot just for online. Not saying sharpness isn't still a factor, more that its less obvious at online resolutions. So yes, a fairly decent camera body is important - one that lets you take control over every aspect as you learn and push techniques further. But mainly its important to just get out and shoot. Look around at different genres of photography and you'll see for street photographers, capturing the moment is paramount, and technical details like focus and exposure are often less important, while bike photography is a mix of the two, depending on what you're shooting and who for. Only by going out shooting can you really learn and refine techniques and the knowledge that lets you tell a story in the image you shoot. Good luck and go do it! So who else is re-evaluating their career choice? And to think I did a degree in Marine Biology eh! I bloody love looking at @DanMilner 's images and stories. 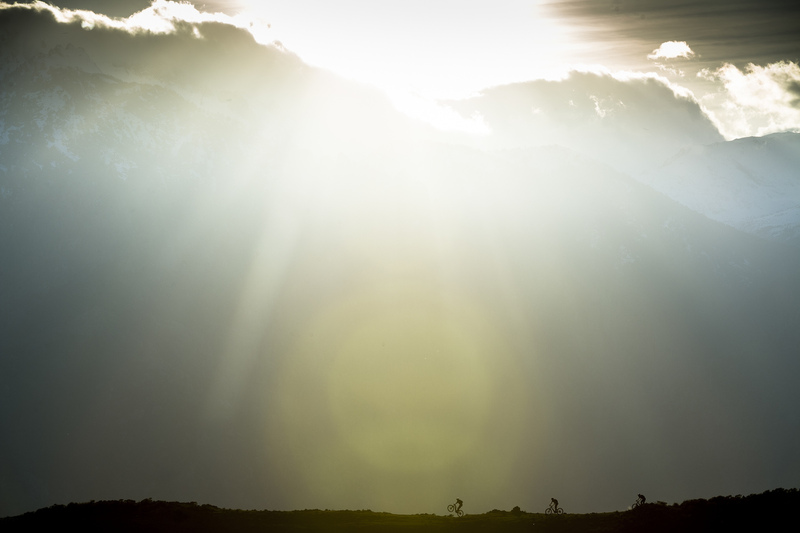 It echoes what I love most (Mountains, adventure, snowboarding, bikes, photography - probably in that order). Spend a lot of time in Cham, and considered making a trip specifically for one of his talks. I first remember seeing him being snowed in in the first Jeremy Jones trilogy (Deeper? ), and then watched all the trail ninja stuff in one go. Love it. Damn. Always liked Milners photography. Rarely a e-roost in sight. Always Big landscapes and a sense of exploration. Also, @DanMilner i'm still waiting for the kickstarter for your coffee table book. I'd definitely buy that, i'll even buy a coffee table to put it on. E-P-I-C!!!! Well done, Dan! Agree with the earlier comment re how you handle the different foods, time zones, etc. as well as you do. Enjoy a safe and wildly fun 2018!! Thanks. Lots already in the pipeline for 2018 - first trip heading out to South America on 1 January! This is fantastic. Not just the photos but the ideas and efforts behind them. Thanks Doug, yeah a lot goes into the planning and research of these trips and the stories that come from them. But this planning pays off - this year I placed over 350 pages in print mags around the world and 15+ online features from these trips. Original story angles are key of editorial, but they also are more of an incentive for me to go exploring - call it curiosity. This reminds me that I need to start making plans for 2018. I hear the north calling... Thanks for the inspiration! @JCHILLTOPPERS Click on any of the photos and you'll see the camera and a bunch of other useful info in the metadata. Looks like the Fuji X-Pro 2 is his lightweight camera of choice. As @Dustfarter says you can see a lot of the gear specs in the metadata in the photos (our secrets revealed). I don't swear to any one set up, but what gear I shoot with depends on the job or trip. For adventure stuff, I'll take either my Nikon D750 (about to replace with the new D850) with 3 lenses (usually Zeiss 18/3.5, either a 50 f1.4 or 35 f2, and the 70-200 f4). I started using the Fuji XPro 2 this year (with 18mm, 35mm and 135mm equivalents) to replace the old Leica M9 I used to use when I want to keep my pack as light as possible, such as for really high altitude or really tough trips I know with a lot of hiking, or just so I can ride more like I want to and not suffer so much - or if II'm just going riding and want a camera with me just in case (just with one lens). I'm road-testing the new Panasonic G9 on the next trip (going next week), to see how that works out and there will be some output for Panasonic from that. It has potential thats for sure. Well, that was geeky eh, but hope that helps. @Dustfarter: thanks,farter. I m an idiot for not doing that. @DanMilner: thanks for the detailed response. Just curious, I know there are some sponsored photographers in other fields, but is that the case with mtb or all of you, the big names, have to buy your gear too? @ismasan: not many, at least for camera hardware. Mountain biking doesnt have much "reach" in the mainstream camera world, not like fashion, press, football, olympics or war photography. Its seen as too fringe. So the result is as far as I know there are only a very few bike photographers that are sponsored by camera companies. My job is made easier by sponsorship from bike companies - Yeti, Shimano, Mavic, Fox, Crank Brothers, WTB, and I get camera packs from F-stop. Its a nice place to be. Really. Rad Dan! Been around this year, cracking shots! Catch you back in Lesotho soon! Hoping to be back in March - if that job comes off. Fingers crossed. I want to be an "adventure photographer" when I grow up! What an epic year. Looking forward to seeing what you produce in 2018 man! Dude, you have OCD! And we’re glad. Thank-you for sharing Dan Milner, what an epic year! And I thought where I rode was "cool"